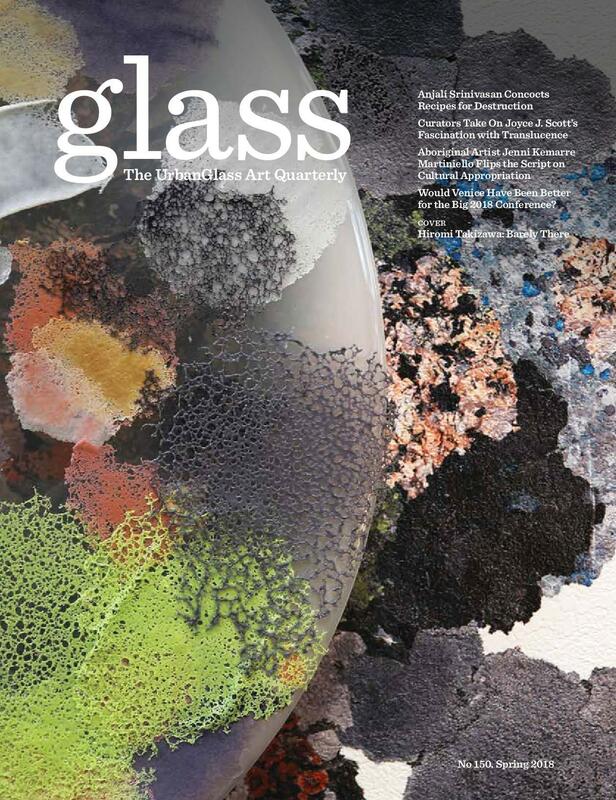 This issue of Glass discusses the work of four female artists who hail from all over the world and aren't afraid to challenge systems, be they technical or political. Our cover article examines the practice of Hiromi Takizawa, whose explorations of distance, both literal and metaphorical, are fueled by her longing for her native Japan. An in-depth profile of Anjali Srinivasan demonstrates that she is a product of the unique Indian culture into which she was born, yet transcends any borders or orthodoxies of glass-making. We learn how Joyce J. Scott uses the translucence of glass to disarm viewers who reckon with her searing social critique only after they’ve been engaged by her intricate beadwork. And finally, Australian artist Jenni Kemarre Martiniello turns the tables on cultural appropriation, harnessing traditional Italian techniques to the unique palette and traditional forms of Indigenous peoples. These extraordinary artists are testament to a wealth of new possibilities for the material as it is made available to the world rather than cordoned off from it. “Heartland”; in memoriam: Pino Signoretto (1944–2017). Jiyong Lee at Duane Reed Gallery, St. Louis; Edra Soto at the Museum of Contemporary Art, Chicago; Rosha Yaghmai at Marlborough Contemporary, New York; Alison Siegel and Pamela Sabroso at Heller Gallery, New York. 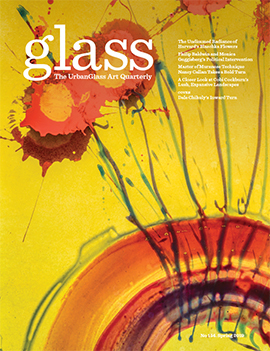 UrbanGlass recognizes the generous members of its Prism Society and the institutional supporters who make all of our programs—including Glass: The UrbanGlass Art Quarterly—possible. In Michael Taylor’s work, currently on view in a Museum of Glass retrospective, transparency is most revealing. 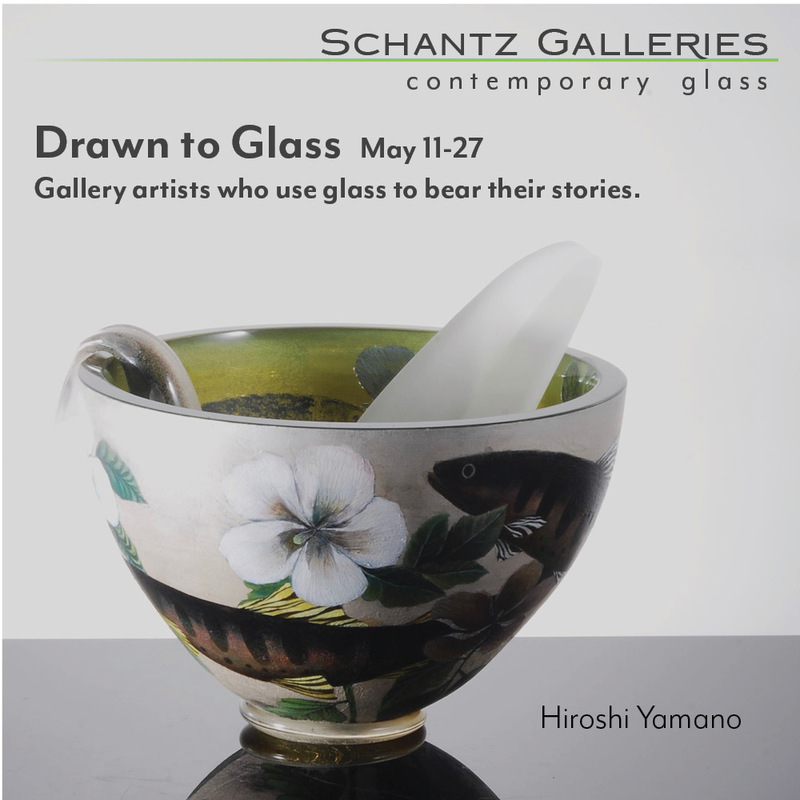 Hiromi Takizawa’s art is fueled by a longing to overcome the distance that separates. A native of India, artist and educator Anjali Srinivasan takes an unorthodox approach to materiality, intensifying the fragility of glass and extending its range not unlike the way Eva Hesse radically expanded the terrain of minimalism. As the Glass Art Society plans its annual conference in historic Murano, our contributing editor trains his eye on the future of glass, which he sees happening more significantly in nearby Venice, a historic trading center that offers a higher level of scholarship, exhibition, and production for glass art and design. Subverting the dynamic of European cultural dominance, Jenni Kemarre Martiniello flips the script, celebrating Indigenous Australian culture using traditional Italian glass techniques. A conversation with the esteemed curatorial duo behind a landmark exhibition of MacArthur Fellow Joyce J. Scott, whose handwrought multimedia works are an exuberant embrace of life, employing glass for its power to seduce viewers into looking closely at violent injustice while celebrating the capacity to persevere.